Waste Generated refers to the total amount of waste generated in Singapore, which is the addition of Waste Disposed and Waste Recycled. Waste Disposed refers to the total amount of waste disposed at the four waste-to-energy or incineration plants, and at the offshore Semakau Landfill. Waste Recycled refers to the total amount of waste that is recycled locally or exported overseas for recycling. In 2012, about 7.3 million tonnes of waste was generated in Singapore, and each person generated around 1,370 kg of waste in a year. 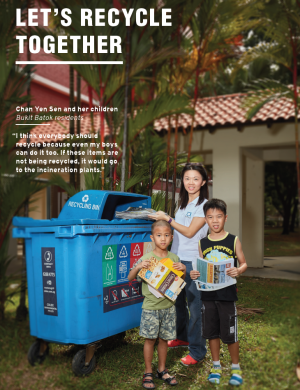 The recycling rate in Singapore for 2012 is 60% (59% in 2011), and has been increasing steadily over the years. The government has met its target of 60% recycling rate by 2012 (set in the Singapore Green Plan 2012 published in 2002), and is on track for its recycling target of 65% by 2020 and 70% by 2030 (set in the Sustainable Singapore Blueprint). 40% of Singapore’s waste is still disposed of, with 37.6% going to the waste-to-energy plants for incineration and energy recovery, and 2.7% of non-incinerable waste such as construction and demolition waste, used slag and treated sludge, going to the Semakau Landfill for landfilling. 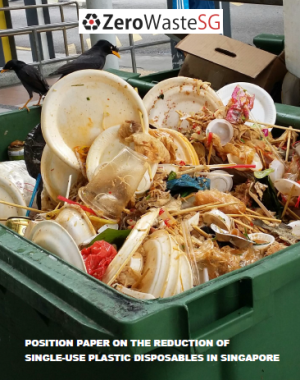 More efforts are needed to educate Singaporeans on reducing food waste and the use of plastics, and to increase the recycling of food and plastic waste. For paper, there is still room for more recycling, as 44% of the paper and cardboard waste generated still ends up being burned at the waste-to-energy plants. Comparing recycling rates for 2001 vs 2012, most of the waste types have shown an improvement in the recycling rate, except for non-ferrous metals and plastics. The recycling rate for non-ferrous metals has dropped from 85% in 2001 to 79% in 2012, however, the recycling rate for non-ferrous metals has always been high in previous years (88% in 2011 and 85% in 2010), so there’s not much of a concern for non-ferrous metals. On the other hand, the recycling rate for plastics is the same for 2001 and 2012 at 10%, which means there’s not much improvement in plastics recycling over the past 11 years. 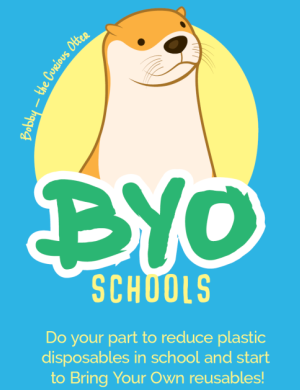 More effort is needed to educate Singaporeans on reducing the use of plastics and the recycling of plastic waste. 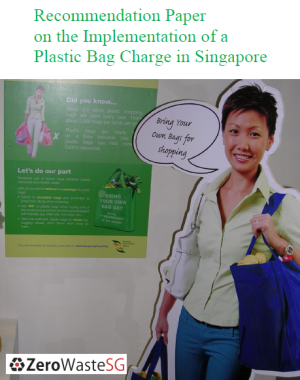 In the Singapore Green Plan 2012 (SGP2012) published in 2002, NEA set a 60% recycling rate by 2012, which it has achieved. NEA also included target recycling rates for the different waste types in SGP2012 (this was not included in the 2006 edition of the SGP2012). Comparing recycling rates for 2012 actual vs 2012 target, the waste types that did not meet the targets include non-ferrous metals, horticultural waste, glass, food waste, and plastics. From 2000 to 2012, the waste disposed has increased by only 5% but the waste recycled has increased by a massive 133%. The total waste generated has increased by 56% from 4.7 million tonnes in 2000 to 7.3 million tonnes in 2012. The waste data show that the efforts of the government in promoting waste recycling has paid off. Moving forward, food waste and plastics are two waste types that NEA has to pay more attention to, and achieve greater reduction and recycling. In 2011, about 6.9 million tonnes of waste was generated in Singapore, and each person generated around 1,330 kg of waste in a year. The recycling rate in Singapore for 2011 is 59% (58% in 2010), and has been increasing steadily over the years. The government has set a target of 60% recycling rate by 2012 in the Singapore Green Plan 2012, and 70% recycling rate by 2030 in the Sustainable Singapore Blueprint. 41% of Singapore’s waste is still disposed of, with 38% going to the waste-to-energy plants for incineration and energy recovery, and 3% of non-incinerable waste such as construction and demolition waste, used slag and treated sludge, going to the Semakau Landfill for landfilling. More efforts are needed to reduce the amount of plastics and food waste disposed and to increase their recycling rates. 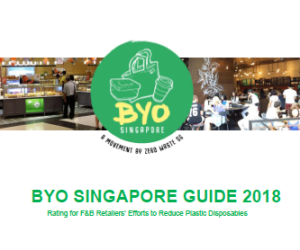 The recycling rate for plastics in 2011 is the same as 2010, and more can be done to educate Singaporeans on reducing the use of plastics and the recycling of plastic waste. The National Environment Agency (NEA) is likely to miss the target of 35% recycling rate for plastics by 2012, set in the Singapore Green Plan 2012. The recycling rate for food waste has dropped from 16% in 2010 to 10% in 2011. This is likely due to the closing down of IUT Global last year, which was recycling food waste into biogas and compost. There is currently no news of the setting up of new food waste recycling plants, nor is there any food waste reduction campaign by the NEA. Without any concrete plans to reduce or recycle food waste, the food waste recycling rate would remain low over the next few years, and NEA is likely to miss the target of 30% recycling rate for food waste by 2012, set in the Singapore Green Plan 2012. For paper, the recycling rate is 56% in 2011. NEA has met the target of 55% recycling rate for paper by 2012, set in the Singapore Green Plan 2012. Nevertheless, there is still room to recycle more paper, as 44% of the paper and cardboard waste generated still ends up being burned at the waste-to-energy plants. From 2000 to 2011, the waste disposed has increased by only 2% but the waste recycled has increased by a massive 117%. The total waste generated has increased by 48% from 4.6 million tonnes in 2000 to 6.9 million tonnes in 2011. The waste data show that the efforts of the government in promoting waste recycling has paid off. However, waste generated has been increasing steadily since 2003. To work towards zero waste, there is a need for the total waste generated to reach a peak and decrease every year. This means that we can’t depend only on high rates of recycling but we also need greater reduction in the waste disposed, in other words, more reduce and reuse of waste. Recycling is still the least effective of the 3 Rs and should be practised last after reduce and reuse. In 2010, about 6.5 million tonnes of waste was generated in Singapore, and each person generated around 1,280 kg of waste in a year. The recycling rate in Singapore for 2010 is 58% and has been increasing steadily over the years. The government has set a target of 60% recycling rate by 2012 in the Singapore Green Plan 2012, and 70% recycling rate by 2030 in the Sustainable Singapore Blueprint. 42% of Singapore’s waste is still disposed of, with 40% going to the waste-to-energy plants for incineration and energy recovery, and 2% of non-incinerable waste such as construction and demolition waste, used slag and treated sludge, going to the Semakau Landfill for landfilling. More efforts are needed to reduce the amount of paper, plastics and food waste disposed and to increase their recycling rates. Half of the paper and cardboard waste generated still ends up being burned at the waste-to-energy plants. From 2000 to 2010, the waste disposed has only dropped by 1% but the waste recycled has increased by a massive 102%. The total waste generated has increased by 40% from 4.6 million tonnes in 2000 to 6.5 million tonnes in 2010. The waste data show that the efforts of the government in promoting waste recycling has paid off. However, waste disposed has been increasing slowly since 2003. To work towards zero waste, there is a need for the total waste generated to reach a peak and decrease every year. In 2009, about 6.1 million tonnes of waste was generated in Singapore, and each person generated around 1,230 kg of waste. The recycling rate in Singapore for 2009 is 57% and has been increasing steadily over the years. 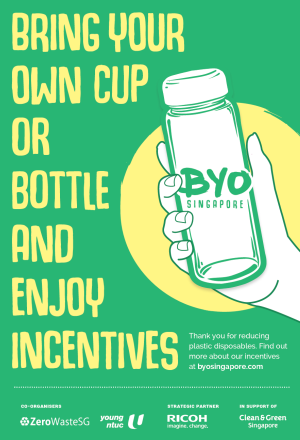 Based on this rate of increase, there should be no problem in reaching the targeted 60% recycling rate by 2012 set in the Singapore Green Plan 2012, and the targeted 70% recycling rate by 2030 set in the Sustainable Singapore Blueprint. 43% of Singapore’s waste is still disposed, with 41% going to the waste-to-energy plants for incineration and energy recovery, and 2% of non-incinerable waste such as construction and demolition waste, used slag and treated sludge, going to the Semakau Landfill for landfilling. More efforts are needed to reduce the amount of paper, plastics and food waste disposed and to increase their recycling rates. Half of the paper and cardboard waste generated still ends up being burned. From 2000 to 2009, the waste disposed has dropped by 6% and the waste recycled has increased by a massive 88%. However, the total waste generated has increased 31% from 4.6 million tonnes in 2000 to 6.1 million tonnes in 2009. The waste data show that the efforts of the government in promoting waste minimisation and recycling has paid off. However, to work towards zero waste, there is a need for the total waste generated to reach a peak and decrease every year.